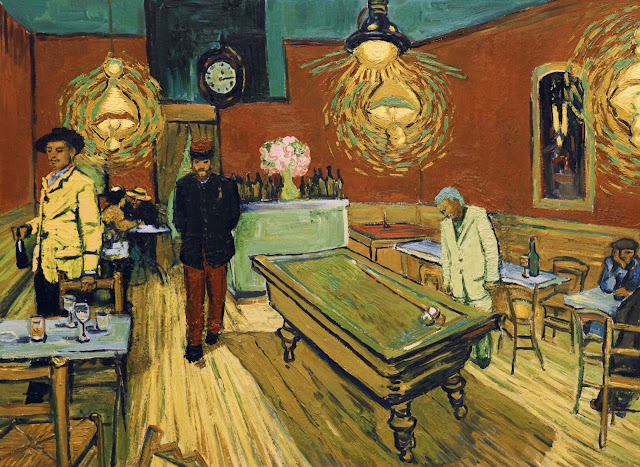 LOVING VINCENT, the world’s first fully oil painted feature film is being embraced by audiences around the globe. First released in the US on September 22nd by Good Deed Entertainment, the film is poised to cross the US$ 1million mark on a roll-out strategy that will see it in over 100 US/Canadian theatres this weekend. In Poland distributor Next Film will cross 150,000 admissions this weekend after only 14 days in release. However, the biggest success so far is Italy, where distributor Adler’s event release opened at number 1 on 16th October, with more than double the daily box office of Blade Runner 2049. Loving Vincent has garnered over 120,000 admissions and is approaching US$1.3 million box-office in only 3 days. The BreakThru Productions/Trademark Films Polish-UK co-production has also started strongly in Switzerland, the Middle East, Vietnam and Chile and will release in over 130 territories in coming months. Starring Douglas Booth, Saoirse Ronan and Chris O’Dowd, Loving Vincent is already tipped as an Academy Award front-runner by the US press, and won the coveted Audience Award at the International Animation Festival in Annecy in June, receiving a ten-minute standing ovation. The film is certified “Fresh” on US critic/audience barometer Rotten Tomatoes with an 89% top critics rating, and audience approval of 94%. Hand painted in Gdansk and Wrocław, Poland, with a smaller satellite studio in Athens, Greece, the film was a titanic effort by 125 painters, selected from over 5,000 applicants from around the world, to complete some 65,000 hand painted frames. Directed by Polish painter and animator, Dorota Kobiela, co-directed by her Oscar winning husband, Hugh Welchman, produced by Welchman, his BreakThru partner Sean Bobbitt, and Trademark Films’ Ivan Mactaggart, and with a score by Clint Mansell, the film took a total of 9 years from inception to last month’s first theatrical release.